Local educators are now being asked to submit their leadership ideas for the Illinois Powered by Teach to Lead Summit. Teach to Lead is a cooperative venture of the U.S. Department of Education, National Board for Professional Teaching Standards, and the Association for Supervision and Curriculum Development, designed to bring about change in the culture of schools. They believe this can best occur when teachers are allowed to take a central role in developing policies that impact their work. Teach to Lead will help to host the summit on April 24 in Bloomington. 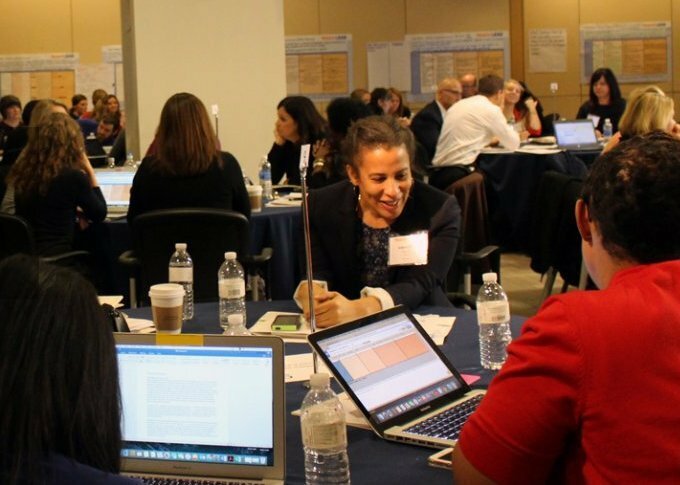 Teach to Lead, in collaboration with the Illinois Teacher Leadership Network, will host the Illinois Summit on April 24 in Bloomington. This will be the ninth event for the organization, which was created in 2014, and has held similar events across the nation. Eligibility to attend the Summit requires participants to have an actionable teacher leadership idea, at least one practicing classroom educator on the team, and commit to taking steps to implement the proposal following the event. The criteria for submissions must identify an area of need or target a specific problem, develop and implement approaches to address that problem, promote collaborative work among stakeholders, create systemic supports for teacher leadership, be viable and sustainable in the local context, and, most importantly, allow teachers to lead from the classroom. The submitted ideas can focus on change at any level: the school, district, or state. Submissions are due by March 1. All proposals will be reviewed by a group of educators that will decide which ideas best fit the intention of the Summit. Qualifying teams of stakeholders, which can include teachers, principals, administrators, and school board members, will receive an emailed invitation to participate at the Illinois Powered by Teach to Lead Summit. The application form and accompanying survey are available here. Additional information about Teach to Lead can be found at their website, teachtolead.org. One last deadline lies ahead for the April 4, 2017 school board election. Thursday, Feb. 2, 2017 is the last day to file a Declaration of Intent to be a write-in candidate with the appropriate election authority or authorities. Illinois school board members and superintendents from will join local educational leaders from across the country at the National School Boards Association (NSBA) Advocacy Institute in Washington, D.C. from January 29-31, 2017. The agenda for the Advocacy Institute, to be held Sunday through Tuesday, is designed to assist participant’s development of effective strategies. Programing includes interactive panel sessions, nationally recognized speakers, and networking forums to allow colleagues to share best practices in advocacy. The final day of the Institute will give attendees an opportunity to lobby their own members of Congress on Capitol Hill. Meetings with the Illinois delegation will be a particularly important opportunity to discuss the direction of public education and protection of local governance under the new administration and congress. “This year’s Advocacy Institute will be a great chance to be one of the first voices the new congress will hear from on what their priorities should be regarding public education,” said Susan Hilton, IASB director of governmental relations. Representing Illinois are 21 board members and superintendents from 12 districts, including: Algonquin CUSD 300, West-Harvey Dixmoor SD 147, Lincoln Elementary 156, Matteson Elementary SD 159, Lake Forest CHSD 115, Harvey SD 152, Morton CUSD 709, Lake Villa CCSD 41, Wheeling CCSD 21, Lake Forest SD 67, Diamond Lake SD 76, and Sauk Village CCSD 168. IASB will send officers and staff, including President Phil Pritzker, Vice President Joanne Osmond, Past President Karen Fisher, Executive Director Roger Eddy, Deputy Executive Director Ben Schwarm, and Susan Hilton. More information about the Advocacy Institute and the agenda can be found on the NSBA website. You can also follow many of the activities live on Twitter at #NSBAAI17. A new Vision 20/20-supported law has been signed to address a major substitute-teacher shortage in Illinois schools. The law is designed to reduce fees for interested applicants by $50, remove the requirement of passing a basic skills test, and allow the state to grant licenses to teachers with comparable out-of-state licenses. Rauner noted that the Vision 20/20 initiative had pushed for changes in teacher licensure since the group officially launched in November 2014. One of the four pillars of Vision 20/20 is Highly Effective Educators, with licensure reciprocity and streamlining the licensure process among the key goals, according to the school management advocates. The shortage has become severe, with public-school administrators scrambling to find substitute teachers for as many as 600 Illinois classrooms a day, according to a survey released Jan. 17. The survey, conducted in nearly 400 school districts by the Illinois Association of Regional Superintendents of Schools, revealed that teachers call in more than 16,500 absences each week. School officials have trouble finding replacements for nearly 20 percent of them. The organization’s president, Jeff Vose, who is regional school superintendent for Sangamon and Menard counties, said a 2012 increase in substitute teacher certification requirements may have discouraged some candidates from applying to be fill-in teachers. It raised the application fee to $100, bringing applicants’ total registration costs to around $200. It also added a background check to allay concerns about “educator misconduct with students,” which accounts for roughly $50 of the $200 total cost. Vose told The Associated Press on Jan. 17 that when schools are unable to locate a teacher, principals and administrators commonly fill in, which takes them away from administrative duties. Teacher absences are particularly common in the more populous Chicago suburbs, the review found. But substitute teacher shortages are most prevalent in southern and western Illinois. Another issue is the relatively low pay for substitutes; with a median hourly salary in the state of $13.40, the pay ranges from roughly $9 to $27 an hour, according to U.S. Bureau of Labor Statistics survey results reported in May 2015. To learn more about the recently signed bill, here is the text of the new law. For more information on Vision 20/20, please visit the Vision 20/20 website. IASB Deputy Executive Director Ben Schwarm sat down with Assistant Director Zach Messersmith to discuss the final days of the 99th General Assembly and preview the newly sworn in 100th General Assembly. The conversation examines a budget compromise package proposed by the Democrat and Republican Senate leaders and the prospects of a spending plan being passed before the end of the fiscal year. If this video is not displaying correctly, click here. • Thursday, Jan. 26 , 2017: Last day a candidate can withdraw by filing a Withdrawal of Candidacy with the county clerk or county board of election commissioners. • Thursday, Feb. 2, 2017: Last day to file a Declaration of Intent to be a write-in candidate with the appropriate election authority or authorities. In the last hours of the 99th General Assembly, leaders in the Illinois State Senate unveiled a proposed budget compromise package that would attempt to place the State on sound financial footing. Amendments were filed to bills that would raise new revenue for the State and borrow money in order for the State to pay old bills; include concessions for Democrats that would increase the minimum wage and address Chicago teacher pensions; and include items on the Republican Governor’s wish list such as pension reform, a property tax freeze, and Workers’ Compensation Act reform. Even though time ran out in those waning hours of the “lame duck” session, the move by Senate President John Cullerton and Republican Leader Christine Radogno has kick-started the budget conversation. At that time they pledged to reintroduce the budget bill package in the new General Assembly, and now that has been done. Bills are scheduled for committee hearings next week. Click here to read the entire Alliance Legislative Report 100-01, including a list of the Senate committee hearings scheduled for the week of January 23. School leaders will have the opportunity again to share their local education priorities directly with state legislators at the biennial Alliance Leadership Summit, scheduled for Tuesday and Wednesday, Feb. 21-22, at the Prairie Capital Convention Center in Springfield. In addition to meeting with General Assembly, participants will get a crash course in government advocacy, learn about the issues being discussed at the state level, and hear from public education advocates about what the future holds for public education in Illinois and at the national level. The first Leadership Summit held in 2015 drew more than 600 school board members, superintendents, principals, and school business officials. This year’s event, hosted by the Illinois Association of School Administrators (IASA), Illinois Association of School Business Officials (Illinois ASBO), Illinois Principals Association (IPA), and Illinois School Boards Association (IASB), will offer a chance for district leadership teams to learn, plan, and engage lawmakers about the critical issues facing our public school system. “With a new General Assembly, long-standing and new challenges to public education, and the prospects for shaping the future of public education in Illinois looming, this is the perfect time to rally local school leaders in the state Capitol,” said Roger Eddy, IASB executive director. The agenda will focus on changes to the school funding formula, the state budget for the 2017-2018 school year, including the “Grand Bargain” proposal by the Illinois Senate. Eddy said participants should be prepared to take part in developing a school leadership strategy and carry that unified message to the state legislative leaders and governor. On Tuesday, attendees will hear from State Superintendent Tony Smith and Illinois Secretary of Education Beth Purvis. Other keynote speakers include former teacher, administrator, and author Jim Burgett, and Ralph Martire, school board member and executive director of the Center for Tax and Budget Accountability. Education leaders will also hear from Illinois Statewide School Management Alliance staff about effective messaging and strategy when meeting with legislators. Other panels include school funding reform commission, political analysis from Capitol journalists, and a TED Talk-style panel led by Illinois ASBO Executive Director Michael Jacoby. On Wednesday, participants will travel to the statehouse to meet with legislators and other key staff. An opportunity to tour the Senate chambers will also be provided. Registration for the two-day event is $165 and includes two lunches, breakfast Wednesday morning, and legislative reception Wednesday night. Housing is available at five area hotels at block rates ranging from $86 to $101. A complete Leadership Summit schedule is posted on the IASA website. More details will be added as they are received. The Illinois State Board of Education (ISBE) has changed the deadline for districts to submit foster care student transportation procedures to June 30, 2017 (previously Jan. 16). To assist with developing and implementing the new procedures, ISBE released an FAQ on the subject. Additional resources, including sample procedures and an interactive webinar, are currently under development and expected to be available in the coming weeks. For background and more information on this issue refer to the December 22 News Blog story Districts face transportation obligations for foster care students. with teacher and support union representatives Jan. 10. Plans by Quincy SD 172 teachers and support personnel to go on strike on Tuesday, Jan. 17 were nixed, pending ratification of a tentative settlement reached over the weekend. No details have been released of the agreement, which was reportedly reached during four hours of talks on Saturday. There has not been a teacher strike during the 2016-17 school year, although a total of 14 districts have been through the process of public posting of offers with the Illinois Educational Labor Relations Board. Work stoppages were narrowly averted by contract agreements reached in Chicago Public Schools 299 on Oct. 11, 2016, and in Evanston/Skokie School District 65 on Dec. 2, 2016. The last school strike in Illinois occurred April 1, 2016 in Chicago, involving the 27,000-member Chicago Teachers Union and the 400,000-student Chicago District 299. The one-day strike over teacher funds was also meant to call attention to the need for increased state funding. The most recent posting involves the Byron Community School District 226 and the Byron Education Association. That notice was filed Jan. 10. The two sides are still meeting regularly in the Byron contract talks, with the next negotiating session set for next month. The complete list of such public postings can be viewed here. Sixteen public schools in Illinois were recognized recently by the U.S. Department of Education with awards through the National Blue Ribbon Schools program. All 16 schools qualified by scoring in the top 15 percent of all schools in the state in reading and math. All groups within the school — including lower-income students — also had to collectively score in the top 40 percent. Five private schools, which faced similar requirements, were also awarded the Blue Ribbon this year, bringing the total of Illinois school winners to 21. That compares to 16 in 2015. Federal education officials honored these schools among the 279 public and 50 private school award winners nationwide at a ceremony held Nov. 7-8 in Washington. Each school received an award plaque and a flag as symbols of their accomplishments. 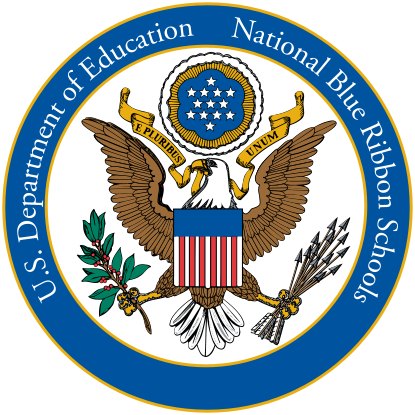 In its 34-year history, nearly 8,500 schools in the United States have received the Blue Ribbon Schools award. More information about the program and the award winners can be found on the program’s official website. NSBA Advocacy Institute in Washington, D.C.
School board members and administrators from 13 Illinois districts will join with educational leaders from across the country at the National School Boards Association (NSBA) Advocacy Institute in Washington, D.C. from February 4-6. The event aims to assist participants with developing effective advocacy strategies to engage policy makers and champion the interests of local public schools. Programing includes interactive panel presentations, breakout sessions, nationally recognized speakers, and networking forums to share tips and best practices. Wrapping up the final day of the Advocacy Institute, attendees will have an opportunity to lobby their own members of Congress on Capitol Hill. 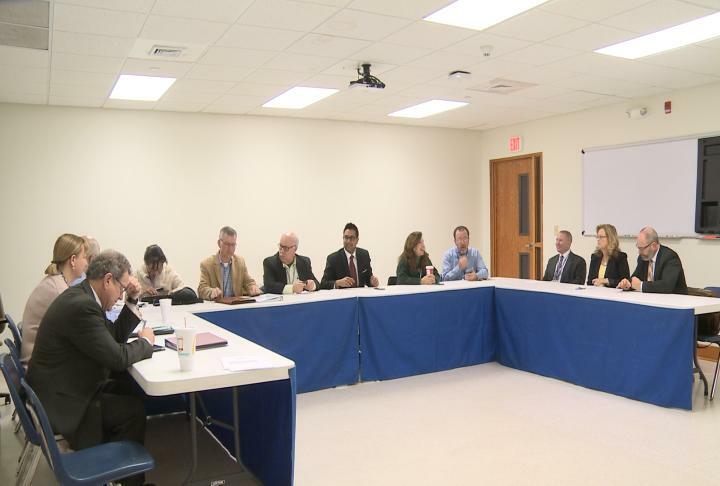 Meetings with the Illinois congressional delegation will allow school officials to discuss the direction of public education, the protection of local control, and budgeting decisions that impact the state education system. Thirty-one board members and superintendents will be representing Illinois from the following districts: Aptakisic-Tripp SD 102, Cairo SD 1, CCSD 168 in Sauk Village, Dolton East SD 149, Dolton-Riverdale SD 148, ESD 158 in Matteson, Lake Forest SD 67, Lincoln ESD 156, West Harvey-Dixmoor SD 147, and Woodland CCSD 50. IASB will send officers and staff, including President Joanne Osmond, Vice President Thomas Neeley, Past President Phil Pritzker, Executive Director Roger Eddy, Deputy Executive Director Ben Schwarm, and Governmental Relations Director Susan Hilton. Additional information about the Advocacy Institute, registration, and the event agenda can be found on the NSBA website. The 99th Illinois General Assembly returned to the Capitol on Monday for a two-day “lame duck” session, with many hoping that a “grand compromise” could be put together for a full-year state budget. The current General Assembly will adjourn today (Tuesday) and the new 100th Illinois General Assembly will be sworn in at noon on Wednesday. The “lame duck” label comes from the fact that dozens of legislators that either didn’t run for re-election, or didn’t win their election in November, are still serving out their terms until their successors are sworn in Wednesday. Thus, there may be freer reins for them to take “tough votes” since they will not be facing voters again. Click here to read the complete Alliance Legislative Report 99-59, including provisions of the proposed budget package. 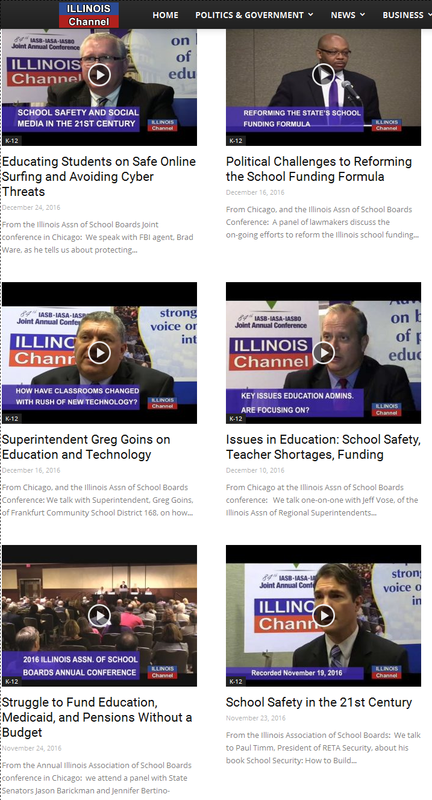 Six videos recorded and produced by the IllinoisChannel during the 2016 Joint Annual Conference are now available online, providing background information on significant issues facing Illinois schools. Videos on the struggle to fund education, Medicaid, and pensions without a budget and an interview about school safety in the 21st Century were posted in early December. 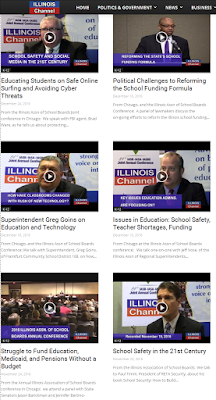 Other Conference videos posted more recently include: School Safety and Social Media in the 21st Century; Issues in Education: School Safety, Teacher Shortages, and Funding; Political Challenges to Reforming the School Funding Formula; and an interview with Superintendent Greg Goins on Education and Technology. The Illinois Channel is a 501 c (3) nonprofit corporation, modeled after C-SPAN, which produces video programming on state government, politics, and public policy. It develops original programming for broadcast by cable access channels across the state on its website, and the YouTube channel. For more information, visit the Illinois Channel website at www.illinoischannel.org. 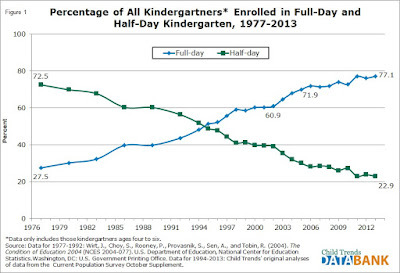 Full-day kindergarten is becoming the norm. Full-day kindergarten classes are close to the norm in Illinois school districts, with 79 percent of 859 districts in the state offering extended-day programs in 2015. The number tripled from 1977 to 2013. But another 171 districts continued to offer half-day kindergarten. Growing evidence of the importance of early childhood education, and appeals made by parents, has prompted more districts to consider full-day programs. The trend is clearly for school districts to go from half-day to full-day kindergarten, with nearly 5,000 additional students served by full-day program in the most recent year. Illinois is following the national trend toward offering full-day kindergarten. The trend to expand full-time kindergarten is gaining statewide support. Chicago Public Schools, the nation’s third-largest school system, began offering universal full-day kindergarten in 2013 “because early education is so important to every child’s success,” Mayor Rahm Emanuel wrote in The Washington Post. A southwest suburban district, Mokena SD 159, reinstituted full-day kindergarten this past school year after a four-year hiatus. Space requirements were never a concern for the 1,526-student school system, but thanks to an improved property-tax revenue picture, the district has enough money to defray the cost, according to Superintendent Omar Castillo. He notes that District 159 will spend about $103,000 this school year to restore full-day kindergarten. With the implementation of new, more stringent state educational standards, returning to full-day kindergarten was a “no brainer,” Castillo added. That’s because the new standards raised learning expectations for students, Castillo said, which ultimately is intended to result in kindergarteners who can read independently and form their own ideas about texts. Also making the switch this academic year was School District U-46, Elgin, a suburban district of about 40,000 students that spent more than $9 million on the endeavor by building 26 new classrooms via additions at three grade schools, and by hiring 46 additional teachers. 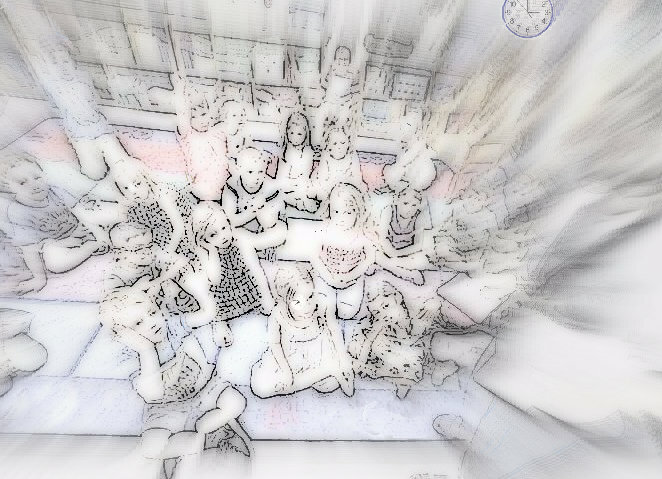 The district saw it could extend kindergarten to full day status under the current tax levy. While U46 may incur some additional costs, those should be minimized via reductions in other areas. “For example, transportation costs would be reduced because the district would no longer have to operate midday buses to take kindergartners home from the half-day program,” according to the district website. Yet another suburban grade school district, Arlington Heights SD 25, is considering the costs and feasibility of providing full-day kindergarten – after a district-wide survey found it was at the head of parents’ wish list. Some critics say research on long-term benefits remains inconclusive, pointing to a review of relevant studies that reached this very conclusion, a review released by the Child Trends organization in a 2013 report. According to the report, kindergartners in full-day programs were more likely to maintain good attendance, self-confidence, and the ability to work and play with others, but less likely to have a positive attitude toward school. 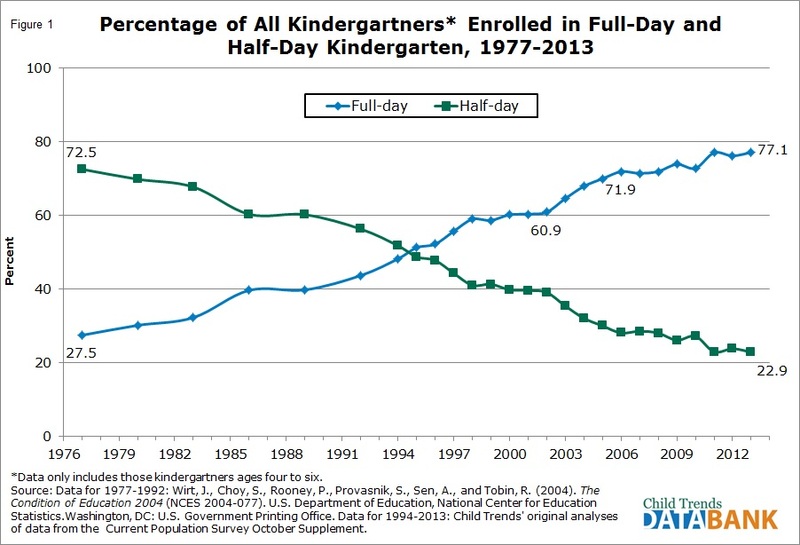 Those who resist the switch to full-day kindergarten suggest that many children aged five are not yet ready to attend school or learn effectively for the entire day. “Kindergarten readiness depends on social and emotional maturity; if children can self-regulate behaviors, follow the structure and schedule of a school environment and get along with others, then academic learning can more easily follow,” according to Julie K. Nelson, the author of "Parenting With Spiritual Power," a speaker, and professor at Utah Valley University. 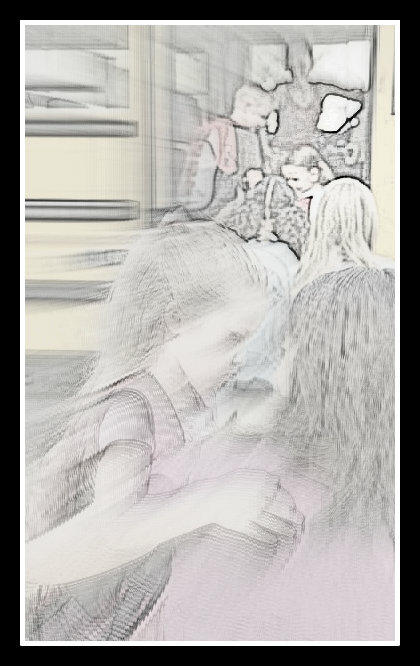 Ample research shows that the youngest five-year-old children tend to lag behind their classmates. Researchers have found that older kindergartners are more likely to persist at tasks, more eager to learn, and better able to pay attention. Another study generally refutes that claim, finding that five-year-olds clearly are ready for a longer school day, and in fact do much better in a setting that allows them to learn and explore activities in depth. With more time in the classroom, children can proceed at a more leisurely pace, according to the study, “Making the Most of Kindergarten: Present Trends and Future Issues in the Provision of Full-day Programs,” published by the National Institute for Early Education Research in March 2005 and the final report is available online. The most common reason for not making the switch, however, is the cost of providing full-day kindergarten. On the state level, for example, Arizona spent $21 million in 2005 to switch to full-day kindergarten statewide, bringing the total cost of providing full-day kindergarten in that state to $48 million, out of a state budget of $8 billion. On the district level, meanwhile, Palatine Township Elementary District 15 sought voter approval on November 8, 2016 to borrow $130 million to build two new schools, freeing up space in the district's 15 elementary schools to accommodate roughly 1,400 students in full-day kindergarten classrooms. Voters rejected the plan, however, by a count of 13,741 yes to 33,055 no. While the cost argument can’t be completely refuted, a study by the Economic Policy Institute found investment in quality early childhood programs generate returns of 3-to-1 or more in value, meaning that every $1 spent brings $3 in educational benefits. Because of the extra costs, the task force recommended an interim plan, aimed at helping at-risk students. It called for five additional staff members and offering morning and afternoon kindergarten classes, with at-risk students having the option of attending both the morning and afternoon classes. Board members held back from implementing the switch in 2008, citing space and cost constraints. But in February 2014, the board agreed to aggressively pursue offering the option of full-day kindergarten. The district instituted the recommendation last year. Parents who prefer their children attend for a half-day now have the option to pick them up halfway through the day. The economic factors are also complicated by the source of funding. Palos Heights District 128, for example, supports all-day kindergarten but can’t afford it, according to Superintendent Kathleen Casey. Even though District 128 is classified as a “property-rich” district, it also operates under a property tax cap, which enforces limiting district revenue, she explained to the Daily Southtown in a March 6, 2015 article. The district, with 668 students, estimates the cost of a full-day kindergarten program at $300,000 per year. “Until educational funding becomes a priority for our state, there is little possibility we will be able to provide a tuition-free program," Casey stated. Other considerations involved in the switch to full-day kindergarten involve non-revenue issues, such as: what hours of the day are acceptable? Should the program schedule be the same throughout the school year or phased in? What is the level of community support? And what are the additional training needs? Smith notes that Illinois standards alignment summaries for Kindergarten readiness are available for download on the state’s Kindergarten Individual Development Survey (KIDS) website. Boards of education have until Tuesday, Jan. 17, to place tax and bond referenda or other public policy question on the April 4 ballot (10 ILCS 5/28-2). Thursday, Jan. 26, is the last day for the school board secretary to certify public policy questions to the election authority for the April 4 election (10 ILCS 5/28-5). These are among numerous dates and deadlines for school districts that can be found on IASB’s 2016-2017 Annual School Calendar. For information on past public policy questions, including specific school finance questions, visit the Illinois State Board of Elections referenda search website. Passage rates of school finance questions, by election, since 1989, can be found at IASB’s finance election data website. With the recent update to the Illinois State Board of Education (ISBE) website, many materials in the IASB Policy Reference Education Subscription Service (PRESS) that previously linked to the former website are no longer functional. PRESS editors are working with the IASB Policy Services Department to devise a plan to correct the broken links. Because the PRESS Policy Reference Manual is over 1,000 pages, these updates will take time. Priority will be given to policies that contain links to the former ISBE website, such as 7:285, Food Allergy Management Program. Focus will then shift to board exhibits, administrative procedures, and footnotes. 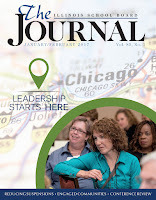 The January/February issue of The Illinois School Board Journal looks back at the 2016 Joint Annual Conference, including dozens of photographs of presenters, events, and leadership in action. Readers will also find suggestions for reducing student suspensions in accordance with new Illinois law. 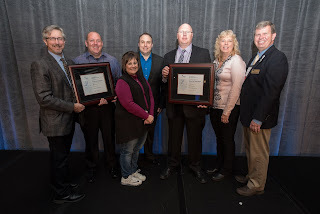 Discover a perspective on community engagement presented by The Harwood Institute, and information on Illinois ASBO's new designation program for school district facilities professionals. Click below to read the complete digital version of the Journal. Two school projects were named as the 2016 Award of Distinction winners in the annual Invitational Exhibition of Educational Environments, sponsored by IASB Service Associates. DLA Architects, Ltd. was honored for a remodel of the West Chicago High School science department. 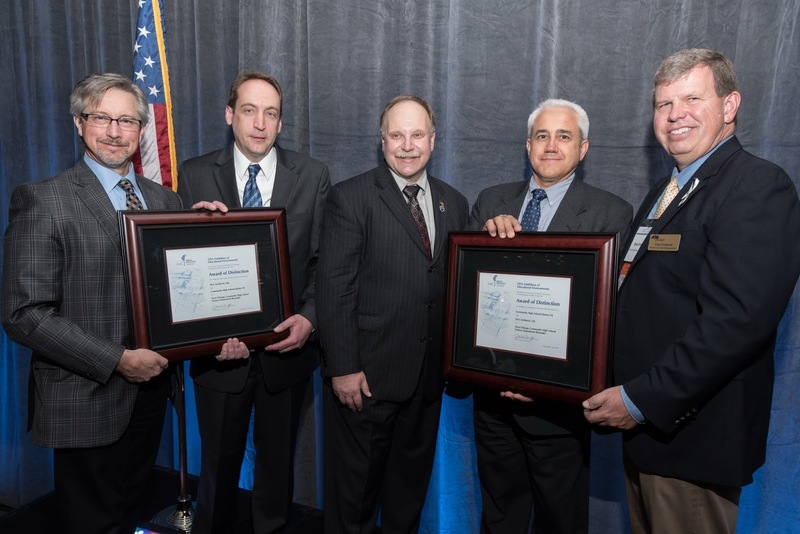 BLDD Architects was recognized for designing the new Meridian Middle/High School. This was the 28th year for IASB’s juried school design competition. The awards were presented on Friday, Nov. 18, during the First General Session of the 2016 Joint Annual Conference. Winning projects were selected by a blind-jury pool of architects and superintendents in September. In addition to the two Award of Distinction winners, the jury chose two projects for Awards of Merit and five Honorable Mention recipients. Criteria considered by the judges included: program/challenge met; how the facility meets 21st century education environmental needs; design; unique energy efficiency or green features; and safety (including passive security design and traffic patterns). To be eligible, construction projects had to be completed in time for occupancy with the start of the 2016-2017 school year. All of this year’s entries will be added to IASB’s School Design Database. The searchable online database is available for use by IASB member districts and their architectural firms. The file is updated each year after the competition and contains more than 500 Illinois public school design projects. As the calendar turns, it is a good time begin thinking about the 2017 Conference. In fact, school districts and related education organizations are being invited now to submit their proposals (RFPs) for "Share the Success" panel presentations. Success stories from local school districts and related organizations have long been a strong drawing card at the annual IASB/IASA/IASBO Conference. School board members and administrators from every division come to learn and benefit from the practical experiences "Share the Success" panel presentations provide. Each year, a select number of districts and organizations are chosen to make presentations. These 60-minute panel sessions -- presented by board members, administrators, and other school or community members who were involved in the particular programs to be showcased -- are based on actual school system experiences. Presenters give insight and practical information on how to solve common problems. They share discoveries and innovations from programs succeeding in their school districts. They also provide tips on how school leaders can achieve such successes in their own districts. Proposals for the 2017 Joint Annual Conference are due in the Springfield office by Friday, Feb. 10, 2017. A committee of Association members will evaluate all proposals received by that date. Invitations will then be issued to the districts and organizations recommended by the evaluators. Acceptance of an invitation to present a "Share the Success" panel represents a joint commitment to create a valuable educational experience for conference attendees. 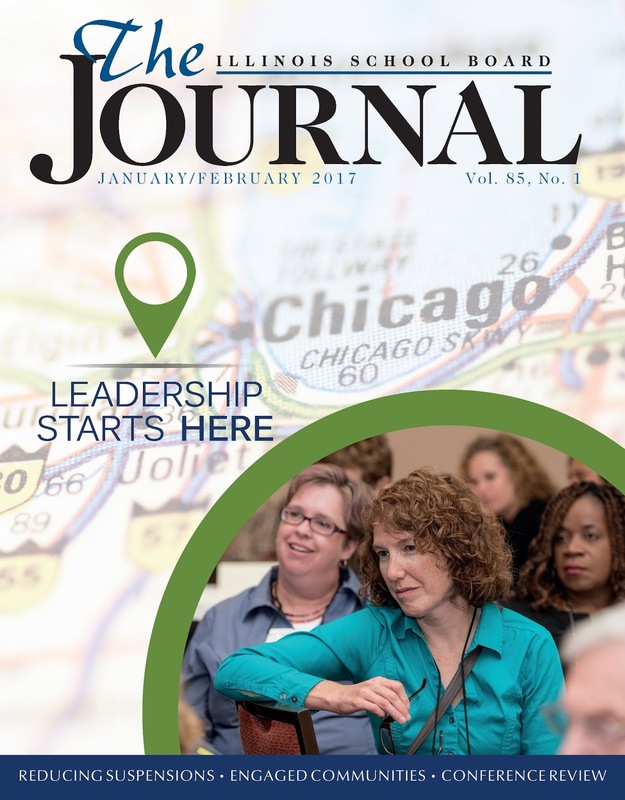 Districts and related organizations are urged to not submit a proposal unless they are fully prepared to make that commitment -- and presentation -- at the 85th Joint Annual Conference, scheduled for Nov. 17-19, 2017 in Chicago. Districts and organizations that are not selected may be offered an alternative opportunity to present at Conference. The Carousel of Panels will be held on Saturday, Nov. 18. This venue is designed to allow districts and organizations a chance to make three 30-minute presentations on their topic, allowing attendees an opportunity to obtain a wide variety of information in minimal time. Panel proposals for the 2017 Joint Annual Conference may be submitted online. Instructions for completing and submitting the form are included and must be followed in order for the panel proposal to be considered. If you have any questions, please contact Peggy Goone at pgoone@iasb.com or call 217/528-9688, ext. 1103.